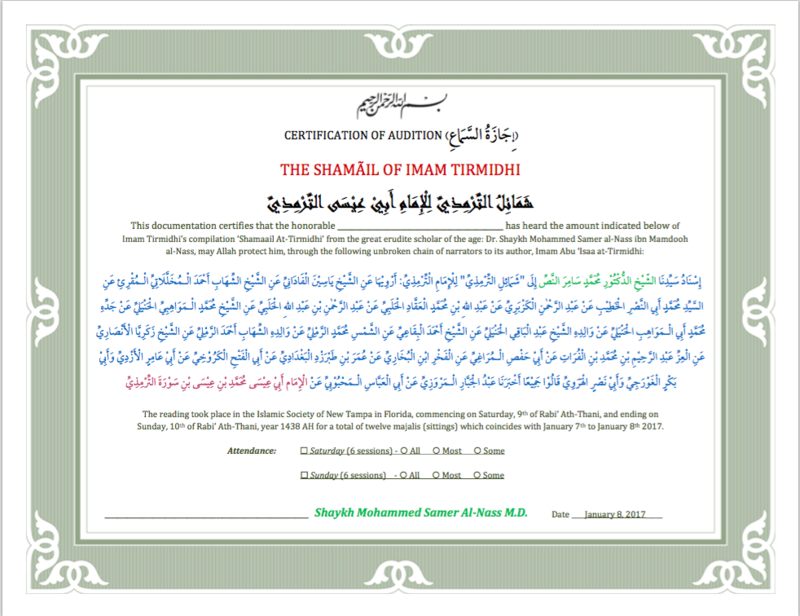 The ijaza (authorization, linguistically: permission) is one of the backbones of traditional Islamic knowledge, used in virtually every field including Quran, Hadith, Arabic Language, and History to verify that a student has received the knowledge from an instructor and is, in turn, qualified to transmit that knowledge to others. Intimately related to this concept is the sanad (chain of transmission) and the matn (text or, more broadly, subject), which needs to be adequately described before understanding the ijaza. The matn is passed from teacher to student through oral transmission of the scholars, with each transmission being recorded in the sanad such that for every text we have an established, unbroken, route by which we received it. The sanad allows for scholars to designate the strength of the hadith by analyzing the Muslims in the chain. Scholars of hadith, like Imam al-Bukhari, would often distinguish between two sahih narrations by the number of individuals in the chain, favoring the one with fewer links back to the Prophet, peace be upon him. The 101 hadith of the Mishkat al-anwaar fall into three sections. The first forty each have a full, unbroken chain of transmission which goes back to God through the medium of the Prophet Muhammad ﷺ (al-ahadith al-musnada). The second forty, entitled khabar (which means “news” or “information”), go back to God without a complete chain via the Prophet ﷺ (al-ahadith al-marfua), and are mostly taken from well-known collections such as those by Muslim or Tirmidhi. The final section of twenty (al-ahadith al-mursala) are drawn from similar books, with the last hadith given a direct chain. During this course we will study the first section and the Ijaza will reflect that.